You can't predict everything but you can be ready for it. The only constant in wastewater treatment is change. 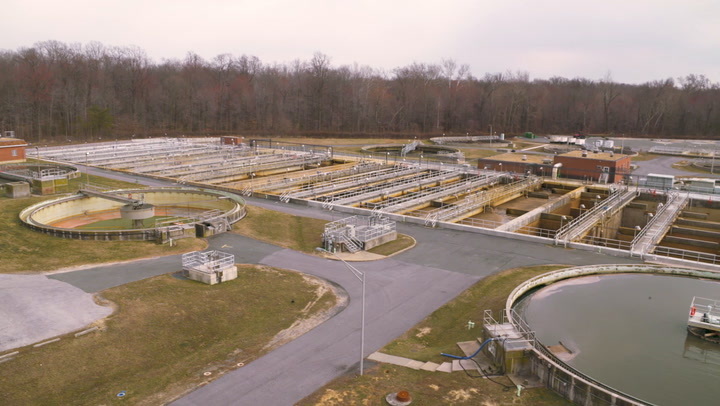 Whether because of daily variation or long term population growth, the process demands of wastewater treatment shift constantly. With a traditional single speed mixer, you have to operate at 100% capacity, regardless of how much thrust you actually need. But without the ability to control your mixing, you're wasting energy, time, and an opportunity to adapt to what happens next. Because treatment processes of variable, your mixer should be too. With an integrated drive and remote operation, Flygt Adaptive Mixers put you in complete control, while the next-generation design ensures a lifetime of reliable, streamlined operation. Sediment on your tank floor? Flygt Adaptive Mixers let you adjust output to achieve the required mixing process result - no matter what. Flygt Adaptive Mixers can be controlled to deliver only the thrust required - and nothing more - which results in remarkable energy cost savings. When you factor in a smaller inventory of parts and spare mixers, plus the ability for mixers to be redeployed across different applications, your mixer investment goes a lot further. With comprehensive monitoring, auto-correction, functions, and a sealed, protected environment for the drive, Flygt Adaptive Mixers introduce a new level in mixing reliability. Synchronous permanent magnet motors are super premium according to IEC/TS 60034-30-2 Ed.1. When compared to lower classification such as IE3 – often based on conventional asynchronous technology – motors with IE4 efficiency use less energy. Designed using the principles of advanced fluid mechanics, our large-diameter propeller with backswept self-cleaning design offer uninterrupted non-clogging performance without compromising efficiency. A set-up wizard guides even untrained users through installation and commissioning with a set of predefined questions. Afterwards, the mixer is ready to operate and communicate. Flygt Adaptive Mixers let you handle both the expected and the unknown. Know exactly what is going on without having to touch the mixer, or even leave the control room. From a single control panel, you can monitor power consumption, energy usage, run times, temperature, phase loss, alarms, and overload. A single-speed mixer has a fixed output that does not allow for a change, even if the process demand were to increase or decrease. For infrequent events like seasonal fluctuations, tank cleanings, or plant upgrades, the user-friendly operator panel puts you in complete control of your mixer’s output so you can react quickly and efficiently. A Flygt Adaptive Mixer has an output range for the utmost in flexibility in response to process changes. With easy integration into a plant-wide SCADA system, the mixer output can be constantly regulated to achieve the desired mixing results. And in multi-mixer tanks, you can keep the process up and running by turning up the output of remaining mixers when one mixer is removed for service. Designed to deliver the exact output you need. Unlike single speed mixers, which operate at a fixed duty point and use the same amount of energy regardless of process demands, Flygt Adaptive Mixers only use the energy you need based on an exact set of process demands. With efficiencies of up to 1,500 newtons of thrust per kilowatt of input electrical power, Flygt Adaptive Mixers can improve efficiency up to 50%, resulting in significant cost savings compared to a conventional single speed mixer. Thanks to the variable speed, Flygt Adaptive Mixers can be easily adjusted during commissioning, overcoming uncertainties from the design phase that often lead to over-dimensioning. Plants operating below their long-term design capacity benefit from this flexibility as well. Because Flygt Adaptive Mixers cover a range of duty points, plants can deploy them across different tanks and applications, which requires a smaller capital investment in spare parts and backup mixers. With their easy adjustment, Flygt Adaptive Mixers can be reused in other tanks and applications. During a process redesign or upgrade, Flygt Adaptive Mixers can even be exchanged among different plants – avoiding the need to rebuild or replace an existing mixer.